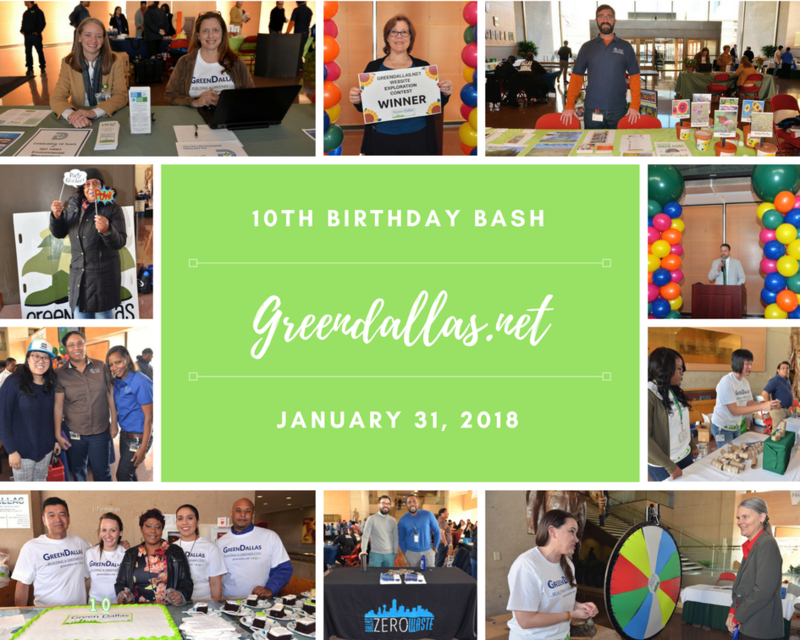 On January 9th 2008, the City of Dallas’s Office of Environmental Quality officially launched GreenDallas.net, the City’s online portal dedicated exclusively to green initiatives and sustainability. At the time, Dallas was one of the first major cities to launch such a website. Visitors to GreenDallas.net will find tips on improving Dallas’s air quality; reducing one’s carbon footprint; saving energy; increasing Dallas’s food security; protecting monarch butterflies, honey bees, and other pollinators; reducing one’s waste steam; and conserving our vital water resources. GreenDallas.net is a one-stop information center for people who live or work in Dallas who want to become environmental leaders at their place of business or in their own community. The City of Dallas is an environmental leader committed to conserving our natural resources for all people living and working in the city. GreenDallas.net not only highlights all the environmental initiatives that the City has done, but also current sustainability projects in progress. The City’s environmental programs, accomplishments, and awards regarding air quality; climate change; energy efficiency; food access & urban agriculture; land conservation; waste & litter; and water conservation are prominently featured on GreenDallas.net. Over the decade, we have shared 10 years of City environmental milestones. 10 years of GreenDallas.net environmental stewardship blog posts. 10 years of building a greener Dallas. 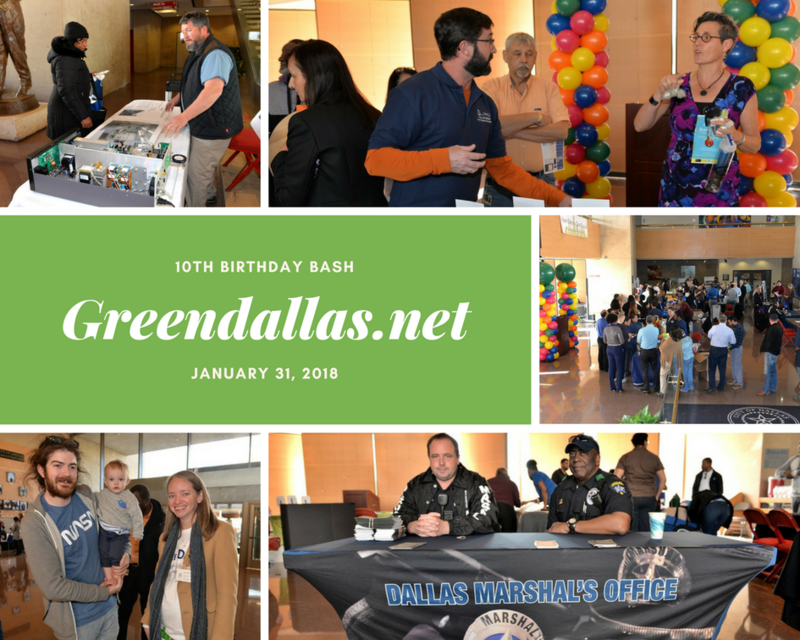 To mark this 10-year milestone, the Office of Environmental Quality hosted the Green Dallas 10th Birthday Bash on January 31st, 2018 in the City Hall Lobby from 11:00am to 1:00pm. The Office of Environmental Quality and partner departments were present to highlight achievements and recent activities that are building a greener Dallas. There were games, a photo booth, cake, and popcorn for attendees to enjoy. To add to the fun, the winners of the GreenDallas.net Website Exploration Contest were selected. City of Dallas Community Garden Grant Recipient Highlight!